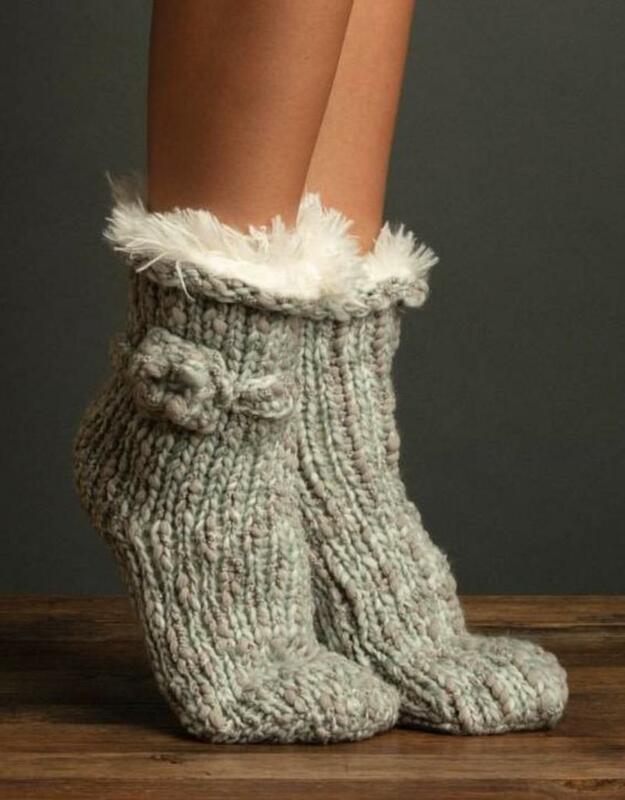 Soft & cozy slipper with faux fur lining and grips on bottom of sock to prevent slipping. One size. Moonbeam color way is a blush/pink color, while Lead color way is more of a grey/blue color.